In an ingenious new revamp, Sky Sports has replaced numbered channels with themed offerings focussing on dedicated sports content. Viewers can enjoy the best live action with award-winning commentary and analysis, as well as a range of new shows and documentaries. 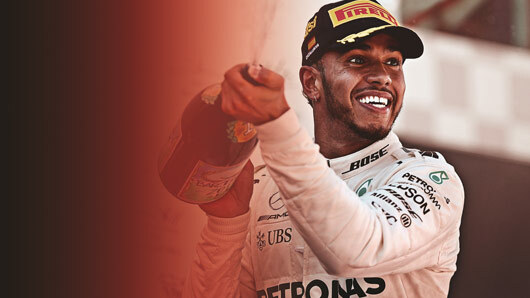 Alongside the new dedicated channels for Football, the Premier League, Golf and Cricket, Sky customers will also still have access to the existing Formula 1 channel (Sky Channel 406)… and now it’s better than ever! What can viewers expect from Sky Sports Formula 1? On this dedicated channel fans can catch every practice session, qualifying hour and race live, as well as exclusive live coverage of the FIA Formula 2 Championship, GP3, Porsche Supercup and Goodwood Festival of Speed. From 2019 Sky Sports will be the only destination viewers can watch Formula 1 live coverage and highlights. And for those of you who want to get as close to the action as possible, coverage of every live F1 session (including practice and qualifying) will also be available in Ultra High Definition with Sky Q.
Ultra High Definition is only available to customers with a Sky Q 2TB box and Multiscreen subscription (£12 extra pm). Not available on Sky Q Mini boxes or Sky Q 1TB box. Sky Sports required to watch sports and in UHD.